Spring is here, and for most homeowners, that means it’s time to start writing your spring housecleaning checklist. Whether your goal is to deep clean and organize your home, or to begin a remodel project, there is one thing you’ll want to make sure is a high priority on your list, and that’s scheduling a springwater heater flush. Whether you have a tankless or traditional tank water heater, San Diego’s hard water can do a number on your system. Hard water is the amount of minerals, calcium carbonate and magnesium carbonate in your water. The best way to determine whether or not your water is hard is to have it tested. However, you can usually detect hard water by the evidence in your home, including soap scum on bathtubs, shower tiles, and basins or crusty deposits on your faucets. Without regularly scheduled water heater flushes, the result can be a noisy, rotten smelling, and inefficient system. 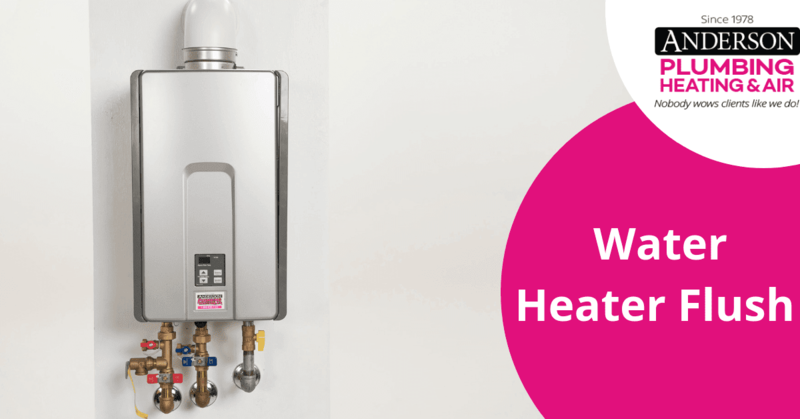 So, what are the three main reasons you should never skip a water heater flush? Hard water can be quite harsh on your water heater. Without proper cleanings, sediments from the water can buildup in your water heater, causing it to have to worker harder to provide your home with hot water. This extra stress to your system can shorten its life span and result in unnecessary leaks, a burst or a breakdown. Avoid this altogether by staying on top of your yearly water heater flush, and your system will perform for the lifespan it should. As we stated above, not taking care of your water heater can lead to some severe sediment build-up, and trust us, it can build up fast! The more foreign material in your tank, the harder it will be for your water to be heated. Of course, the more work that is required to heat your water, the harder it has to work — which will cost you more money in the end. So, to ensure you are not spending money on a new heater and getting hot water when needed, keep up with the flushes! Not only will you be able to ensure you keep your water heater free of sediment build-up, but with a flush (and inspection), we can find and fix any minor issues in a timely manner, before they do further damage. These yearly maintenance calls will also help predict when it’s time for an upgrade, making it less of a surprise when a breakdown suddenly occurs. If you are looking to spring clean your water heater, upgrade to a tankless, or need a simple repair, the experts at Anderson Plumbing, Heating, and Air can help! Call us today at (866) 374-0402 to schedule an appointment in San Diego or the nearby areas!